COMPANY PROFILE: Boise Mobile Equipment, Inc. 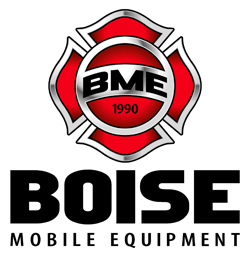 Established in 1990, Boise Mobile Equipment (BME) supplies fire apparatus to municipal fire departments, fire districts, all branches of the U.S. military and several federal agencies (US Forest Service, National Park Service, Department of Fish and Wildlife and the Bureau of Land Management). Many of these apparatus spend their entire working lives in an off-road environment. Quality craftsmanship, a reputation for rugged reliability and our lifetime body warranty have customers returning year after year to purchase BME apparatus (the US Forest Service, alone, has purchased more than 400 apparatus from BME). BME designs apparatus to exact customer specifications using AutoCAD and Solid Works 3D software. Manufacturing takes place in a modern 25,000 sq. ft. facility, utilizing the finest materials available and industry leading components. Design and material are blended with experience and detailed craftsmanship resulting in a quality product, unsurpassed in the industry.